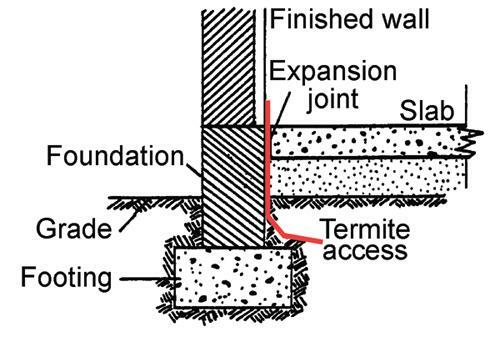 We customize a Termite Treatment Protection Plan designed to protect your home or business against the infestation of termites, including FORMOSAN termites by utilizing proven products such as TERMIDOR and conducting comprehensive home inspections at the time of treatment by one of our Master Termite Technicians. Many of our customers ask "Why do you not require an on-site inspection". They ask this question because other companies claim they cannot quote a price until they inspect house. 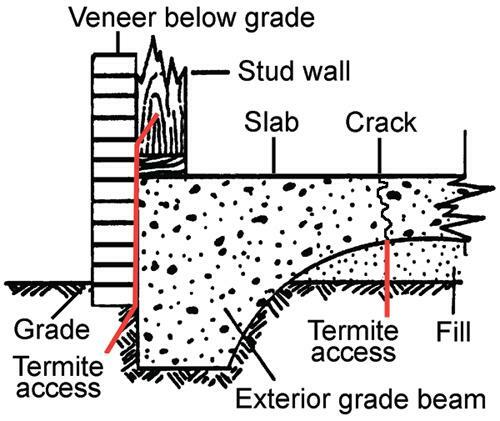 The reality is that there are basic Standard Termite Treatment procedures in the industry that all companies are required to adhere to and theses standards are regulated by the Department of Agriculture. The better companies will always do more than the minimum, which is why we offer online pricing that covers all of our treatment techniques with no up charge. The companies that require an on-site inspection, either do not use technology to access satellite imagery or more than likely are looking to up-sell you. Read more about these tactics and others to look out for at "BEFORE YOU HIRE A PCO"
​﻿Blue Star Pest Control has been protecting customers from termites with honesty and integrity since 1984. Our honesty, integrity, experience, training and affordability makes us the best choice in the industry. 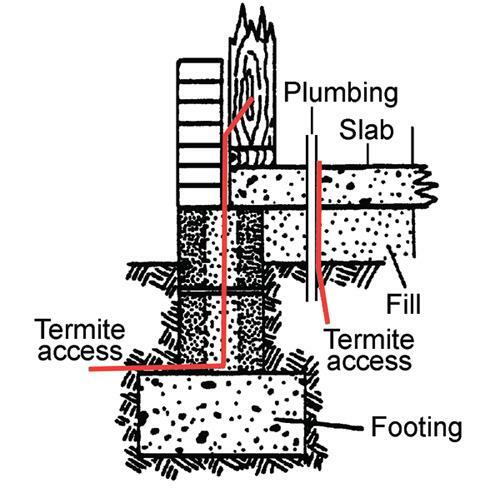 Get Facts about Termite Swarmers and what it means to have them. We create a chemical barrier around your property by digging a 4" by 6" trench in the soil areas and treating them with termiticide in accordance with labeling. We back fill the trenches and treat the top soil with termiticide. We drill 1/2" holes approximately every 12" apart in cemented areas adjacent to the slab foundation that were not poured as part of the original foundation and seal them with hi-pressure caps for future access. We cut bath traps on the ground floor level bathrooms of slab homes in the wall behind the bathroom tubs when they are accessible and treat the soil area in these traps with termiticide, and install an access panel for future inspections. NOTE: A bath trap is a hole in your slab that allows plumbing pipes to entry the structure. We treat all stand-up showers on the ground level of slab homes by drilling through the floor on backside of the shower and applying termiticide in accordance with labeling when it accessible, within 24" of the drain and with the homeowners approval. ​NOTE: Our experience with baiting systems since "1999" has not proven to us that these systems work as they are marketed to do so in the real world application. Therefore as per our Company's philosophy, if we would not place them as a stand lone service around our home, then we will NOT do that with your home. We only apply baiting systems along with our conventional chemical barrier treatment as a supplemental service if we believe it is needed. We install monitoring stations approximately every 12 to 15 feet apart in all soil areas around the property. We inspect all stations on a monthly basis to identify any termite activity. When activity is identified the monitoring station is replaced with bait and stations are inspected. This is the only service that requires a repair cause in the event of termite damage. We perform a conventional termite treatment within one year of the initial service and after all landscaping is complete. Drill hole in wall cavities where infestation of termites have been identified as foam in those area. Applied to the point of runoff at a 1 to 1 ratio. Penetrates into the core of the wood turning the cellulose in the wood toxic to insects.